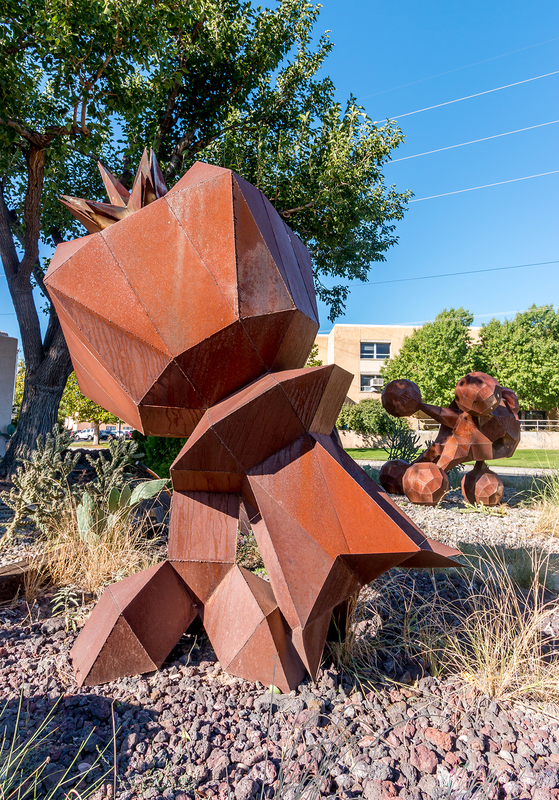 The sculptures in this picture are no stranger to people who drive through the residential area adjacent to the main campus at University of New Mexico. I’m not sure whether these are on a property belonging to a private residence or a campus affiliated organization. This large piece and the one pictured in the middle right of the frame are outside in the sweltering heat. If you know the artist name or item name, let us know in the comment section.